Pavlova. Even the name is swoon-worthy. I’ve always been enchanted by these fluffy, melt in your mouth desserts, but just a little intimidated by them. They just seem so fancy, you know? And in my mind, fancy always equals difficult. Which is ridiculous, because these aren’t hard to make at all! So I did! Mixing up the pavlova is a snap, especially if you have a stand mixer. Topped with homemade whipped cream and candied kumquats, this is unbelievably decadent. If you’ve never tried it before, give it a go! I halved this recipe and it make 4 mini-pavs. Preheat oven to 350 degrees F (130 degrees C) and place rack in center of oven. Line a baking sheet with parchment paper. In the bowl of your electric mixer, with the whisk attachment, beat the egg whites until foamy. Add the cream of tartar and continue to beat on medium-high speed until they hold soft peaks. Start adding the sugar, a tablespoon at a time, and continue to beat until the meringue holds stiff peaks. (Test to see if the sugar is fully dissolved by rubbing a little of the meringue between your thumb and index finger. The meringue should feel smooth, not gritty. If it feels gritty the sugar has not fully dissolved so keep beating until it feels smooth between your fingers). Using a large rubber spatula, fold in the vinegar and vanilla extract. In a small strainer, sift the cocoa powder and cornstarch over the top of the meringue and, with the rubber spatula, fold in. Lastly, fold in the chopped chocolate. Gently dollop the meringue onto the parchment paper smoothing the edges. Place in oven, immediately turn oven down to 250 F. Bake for about 1 1/4 - 1 1/2 hours (or about 25 - 30 minutes for mini-pavlovas) or until the outside is dry. (The outside will feel firm to the touch, if gently pressed. There will be cracks and you will see that the inside is soft and moist.) Turn the oven off, leave the door slightly ajar, and let the meringue cool completely in the oven. Just before serving gently place the meringue on a serving plate. Whip the cream in your electric mixer, with the whisk attachment, until soft peaks form. Sweeten with the sugar and then mound the softly whipped cream into the center of the meringue. Arrange the fruit on top of the cream. Serve immediately as this dessert does not hold and once you add the cream and fruit the meringue will start to break down. In a medium saucepan, combine the water and sugar and bring to a boil. Add the kumquat slices and cook over moderate heat, turning them occasionally, until the liquid is reduced to a thin syrup and the slices are translucent, about 20 minutes. Reduce the heat to moderately low and simmer until the syrup is thick and the slices are tender but still intact, turning occasionally, about 10 minutes. Transfer the slices to a rack to cool. oh yummy. i too love nigella. you don't like the contessa? she's my favorite. i am with you on the annoying chefs. too many to count that grate on my nerves. let's start with sandra lee and her coordinating outfit/kitchen...help! i've only seen the barefoot contessa once or twice! (no tv at my house! ), i did like her! oh lord, don't even get me started on sandra lee! Nigella is so sensuous! Totally dying to try this - I've tried to find castor sugar before and failed - where do you get it? Great post, Hannah! The photos are incredible as always and the pavlovas! MY, my! Look too good! lydia: that's a good question! I edited the recipe with a note - to make super fine sugar, I just run regular sugar through the food processor. It works perfectly! Nigella is one of my favorite chefs. She really makes cooking as easy as abc. I can't wait to try this at home. Beautiful! The candied kumquats look delicious! Love your photos and your recipe choices always. Gorgeous. You put Nigella to shame! i watch nigella on youtube too! i love pavlova also, so gorgeous! What a creative dish! That just sounds wonderful, Hannah! come back to livejournal! join the documentaday community! i miss your posts so much! I really like Nigella too - she seems so real and down to earth. Many of those TV chefs seem very fake and put on ... This is a lovely recipe. I like the idea of minis. Thanks! I have a major girl crush on Nigella and now I have a food crush on this pavlova. Yum! Beautiful. I find most TV chefs quite annoying as well. 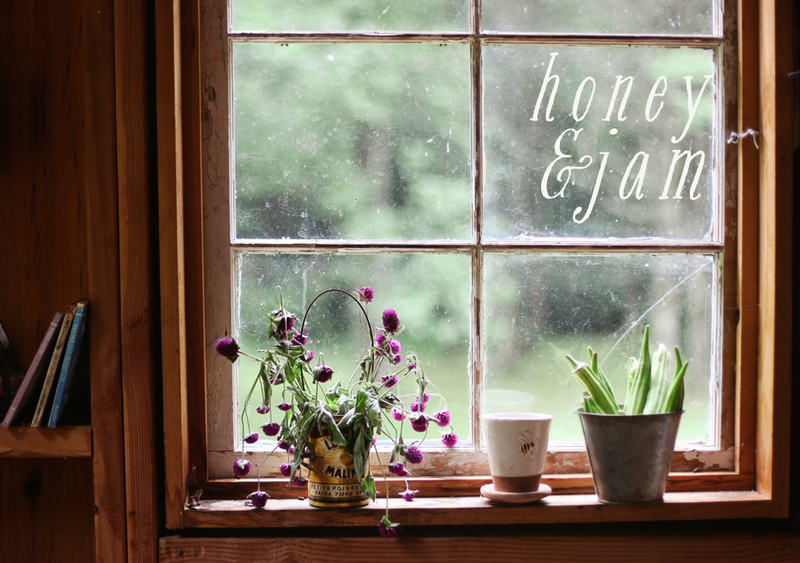 I don't like studio cooking shows, but absolutely love some done series like Forever summer with Nigella and Jamie at Home. (They are styled amazing!) Nigella is so much fun to watch - she really has her own style. I remember thinking the same thing when I saw her making the chocolate pavlova: I can do that! It looks wonderful with kumquats. I love the way you gave your own twist to the recipe! nigella is SO endearing, and she makes excellent food. i haven't made or eaten pavlova, nor have i ever tasted a kumquat (although i do love to say the name). this treat would be an entirely new experience for me! These are gorgeous! Your photos never cease to amaze and Nigella is great! I just candied kumquats.. they are so pretty. I did it for my mom's 80th birthday party tea... and will be writing about it, soon. This recipe looks yummy. We make pavlova often as we have some gluten free friends and it is the perfect treat. These look beautiful, and so much simpler than I thought! i love nigella too and i used to love paula until she became such a big hit, now she's annoying. but i do love the contessa too. Pavlovas are really intimidating to me too. Yours look great, and on your first attempt too! this looks absolutely amazing! i've always wanted to try pavlova! and of course, your photos are gorgeous. wow. This looks delicious! 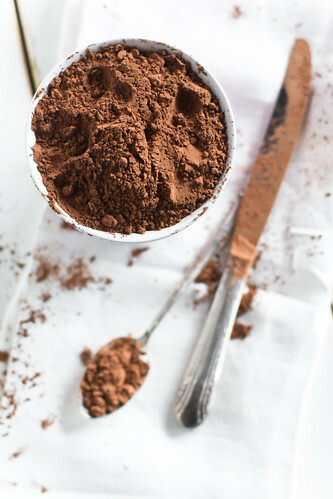 Love the photo with the cocoa powder-who would ever think cocoa could look so tempting? Makes me miss the kumquat tree that used to be in my Grandmas back yard. ridiculous, isn't it? there's so much like this, sounds so fancy, comes together quick. i adore nigella, though she's all 2-D to me -- no cable tv here, either. anyway, by this point, i'm not sure i'd want her any other way than on the printed page. I adore Nigella - and I adore pavlovas thanks to her! Her Chirstmas Pavlova from 'How To Be A Domestic Godess' was my very first pavlova, and it was wonderful. I always make pavlovas at Passover, this year I made mango pavlovas (http://cozydelicious.com/2010/03/26/baking-for-passover/) and they were a huge hit. I'll have to try a chocolate pavlova next! Ooooh. I had pavlova once. Back in first grade after a lesson about Australia. I thought it was tasty, and ever since I've been obsessed about eating it again. I'm so fearful of attempting to make the dessert myself since I'm not the best chef. But...I keep seeing it pop up in recipe books and on blogs...maybe it's about time I conquer my fears...This Looks So Delicious!!! Just have to say again, this post is beautiful! And I have to thank you, among many other diligent and talented bloggers for the continual visual stimulus... I find that when I am in photographic or even cooking dullness, all I have to do is look at my blog roll for inspiration and motivation! I shall cook this weekend, make sweet things, all the while my faithful camera will be by my side (or up to my eye!) Thanks for sharing this beautiful post Hannah! How gorgeous! Thanks, as always, for another lovely post. We've been making chocolate schaum torte (the German name for pavlova) for years at our house. And so I know first-hand how delicious it is. Ours is a variation of my grandmother's recipe from years ago, and we usually serve it with raspberries (in the summer) and pomegranite seeds (in the winter). The candied kumquats sound positively lovely. Will have to keep that in mind! Thanks for the idea! I've been wanting Nigella's "How to be a Domestic Goddess" for some time now. She has some fabulous cakes/cupcakes. I never would have put chocolate and kumquats together, but now that you've introduced it kumquats have been added to my shopping list. Thank you for the lovely photographs! Oh, I adore Nigella! These look wonderful, I'll have to try them for sure. 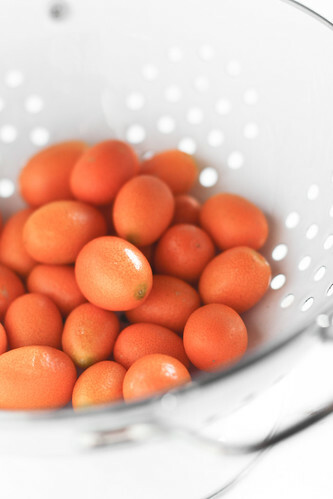 Are kumquats hard to find at the grocery store? I've only ever seen them on trees at Leu Gardens in Florida, lol. Lovely, lovely post. I have never made Pavlova, but just the name is intriguing. And of course your photos are enticing. I agree about Sandra Lee. But I do like the Barefoot Contessa & Tyler Florence. I love your photos! "How to be a Domestic Goddess" is a great book. I love her recipe for pistachio white chocolate cookies. What size package of kumquats did you use? My grocery store sells them in bulk. I love how cute this dessert is! 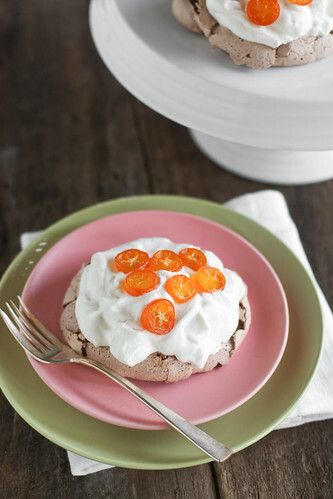 Mini little kumquats, mini-pavlovas, cute, springy colors = adorable, all around. oh my. i've never made a chocolate one. of course nigella would pair it with kumquats! this looks lovely and perfect for this time of year. yum! Your photos always make my day! I too love Nigella, and based on the easy-breazy instructions for pav in her book I made a pavlova for the first time ever last summer (with kiwi and raspberry). Easy, tasty - and my guests were totally gobsmacked by it. What more can you ask? She is awesome - and her recipes are all pretty easy. I like her "no worries" style. Hannah! These are beautiful! And now, FINALLY an idea for the kumquat tree. And I love Nigella. She's down to earth and not at all stuffy. 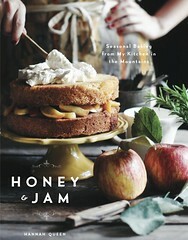 I find her writing to have the perfect dose of English wit and her recipes are so accessible. Love this. Your blog is absolutely mouthwatering; thank you for sharing! Oh my goodness. Aren't candied kumquats amazing. We used to make them at the restaurant with muscat. I would sneak a few every time I used them to plate a dessert. I've been meaning to try my hand at meringues. Yours look lovely. I like the idea of minis over one large one. This looks amazing. My favourite pavlova is topped with passionfruit courtesy of Nigella. making this right now!!! they're in the oven... they look positively delicious!!! We're making them with strawberries and blueberries on top instead!! !